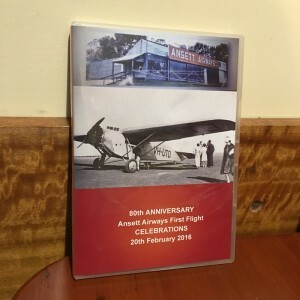 We are proud to announce the release of the Ansett Airways First Flight ‘Celebrations’ DVD, comprising of footage and images taken during the 80th Anniversary celebrations in Februrary 2016. The two-DVD set showcases highlights from the festivities over the weekend and is a fantastic collector’s item. Copies of DVD $30 each (plus $6 postage and handling). To order, fill out our order form and follow the details provided to order your copy today. 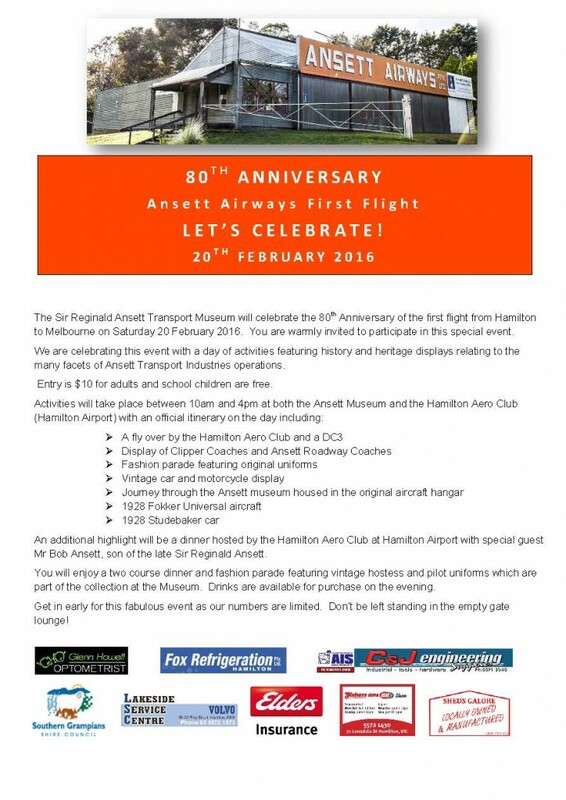 Available now for purchase is the 80th Year Celebration video presentation that was seen at the evening function at Hamilton, Victoria on February 20, 2016. 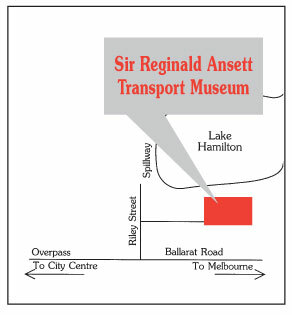 There are three separate videos on the disk which shows about an hour of Ansett memories and images, including the Ansett International anniversary videos from September 2015 held at Bev Cowley’s Hanrahan Estate. A limited number of copies were made and are available for purchase direct from the museum. Thanks go to Adam McMillan and Michael Jones for this fine presentation. 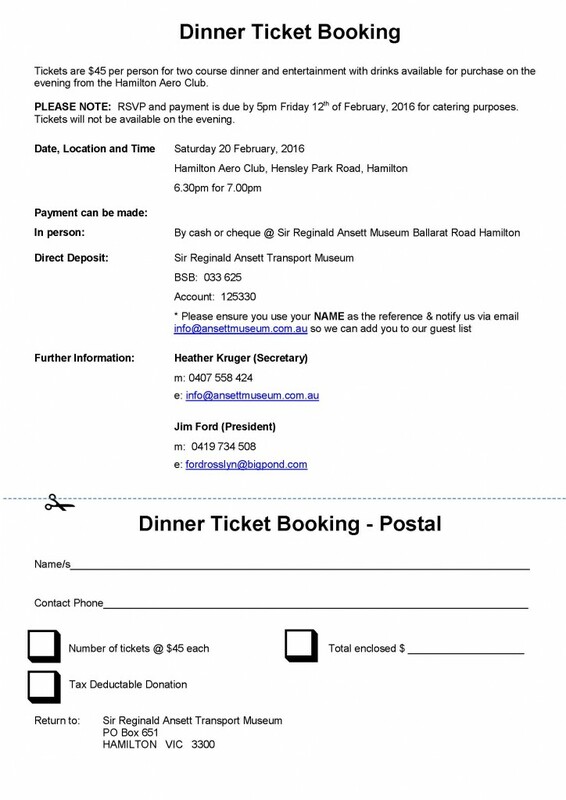 If you would like to purchase a copy then please contact us via email – the cost is just $25 including posting and handling. 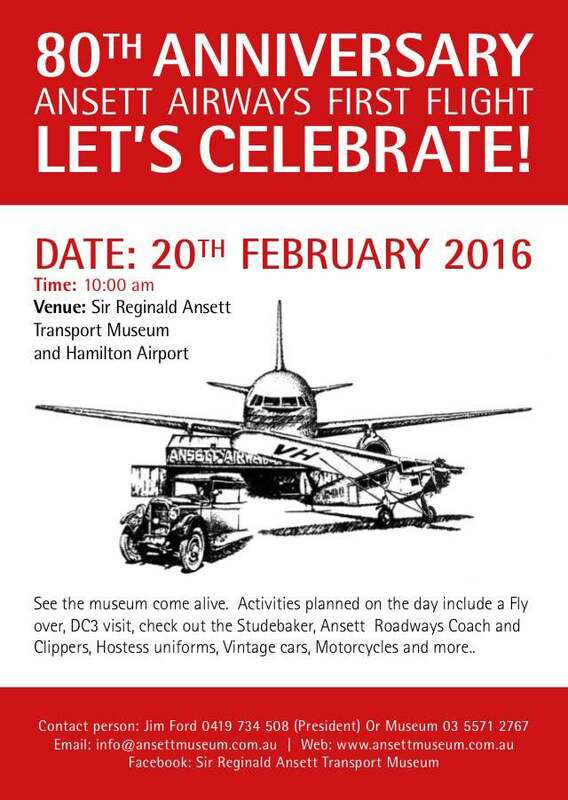 All proceeds go to the museum to help preserve Ansett’s history.